• AAU branch laments plot to break members’ rankThe Academic Staff Union of Universities (ASUU) chapters nationwide yesterday conducted a referendum to decide on whether or not to suspend its strike which has entered its fourth week.On Monday, the national leadership of the union had directed its zonal coordinators to meet with their branch chairpersons to conduct the referendum on the offers of government and feed it back. It was learnt that over 200 members of the University of Ibadan (UI) chapter of the union who attended the congress voted for the continuation of the strike while a little above 50 voted for the suspension with conditions.In a telephone conversation, the chairman of the UI chapter, Dr. Deji Omole, stated that the congress only conducted referendum on the offers of government which include a promise to mainstream the earned academic allowances into salaries from 2019. He also hinted that government said as a sign of good faith, it would release N25 billion for the revitalisation of universities while the rest would be defrayed after identifying sources to fund it.Omole stated that the government agreed to pay additional N5 billion to make the earned academic allowances N25 billion out of the N105 billion owed, adding that ASUU wanted government to pay N30 billion. According to him, the Federal Government agreed that the renegotiation should commence and end within six weeks. 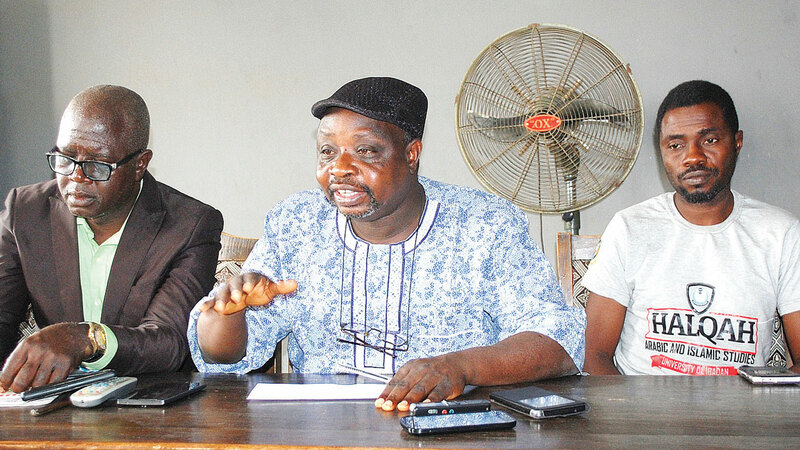 The ASUU in Ambrose Alli University (AAU), Ekpoma yesterday vowed to continue the strike despite the alleged desperation of the institution’s management to break the ranks of its members.This was contained in a statement by the chairperson and secretary of the Ekpoma branch of ASUU, Dr. Monday Igbafen and Dr. Anthony Aizebioje-Coker after a meeting of the union executive, the outcome of which was made available to newsmen in Benin. The union insisted that only the national leadership of ASUU can suspend the strike meant to reposition and revamp public universities in the country, including AAU, Ekpoma. The referendum was held as the National Association of Nigeria Students (NANS) threatened to boycott and disrupt the 2019 general elections if the Federal Government fails to reach an understanding with striking university teachers to enable them to call off the strike. He said Nigerian students would resist the conduct of the polls in any part of the country should the tertiary institutions remain shut until the voting date.He alleged that the continuous strikes by ASUU and ASUP were a deliberate ploy to disenfranchise the students, who registered within their school environments and are currently at home.